Hydraulic fracturing is a controverial issue. Joe had to wear a cast on his arm while the fracture healed. The whole street was without water due to a fracture in a pipe. There has been a fracture in relations between the two countries. The rock had split with a clean fracture. The plate fractured as it hit the floor. The blow fractured the boxer's nose. Maria has fractured her leg. Hydraulic fracturing, more commonly known as fracking, is a way of extracting gas and oil from shale rock. It is done by injecting a mixture of water, sand, and chemicals into the rock at high pressure in order to fracture it. It is a controversial process, as it uses a lot of water and there are fears that it could release harmful chemicals into the atmosphere at the same time as it releases the gas or oil. Because of this, environmental campaigners think that fracking should not be undertaken and it is banned in some countries and some parts of the US and the UK. 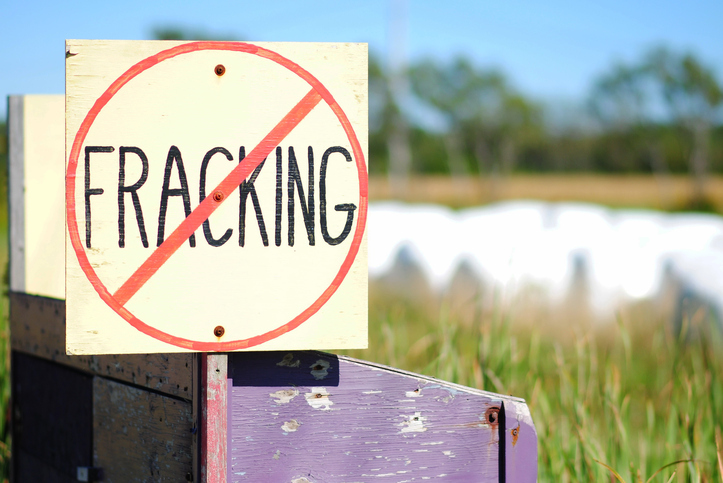 In places where it is not banned, potential fracking usually gives rise to protests. Three men have recently been jailed for protesting against fracking in the UK. You can read about that in this article. Fracture, meaning ‘a breaking of a bone,’ dates back to the late 14th or early 15th century. It came into late Middle English from the Middle French fracture, which can be traced back to the Latin fractura (a breach, break, fracture or cleft), from frāctus, the past participle of the verb frangere (to break), and further back to the Proto-Indo-European root bhreg– (to break). Fracture is related to the Lithuanian braškėti (crash or crack), the Old Irish braigim (break wind), the Gothic brikan and the Old English brecan (both meaning ‘to break’), as well as many Romance language equivalents of fracture, such as the Spanish fractura, the French fracture and the Italian frattura, and English words such as brake, brash, break, fragile, frail, infraction, refract, refrain, suffrage and even sassafras. The sense expanded to ‘a broken surface’ in the late 18th century. The verb, meaning ‘to cause a fracture in something,’ comes from the noun, and dates back to the early 17th century. The sense ‘to become fractured’ first appeared in the early 19th century.